Tuvalu’s proposed climate change insurance facility was a hot topic of discussion at the Pacific Climate Change Roundtable (PCCR) in Suva on Monday. 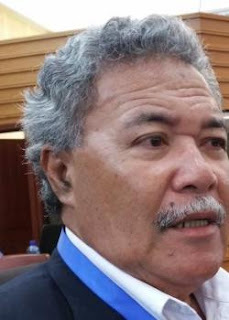 The proposed regional facility aims to develop climate change risk transfer products to suit individual needs of Pacific Island Countries, as opposed to the current Pacific Catastrophe Risk Assessment and Financing Initiative (PCRAFI) set up by the Pacific Community, World Bank and the Asian Development Bank, claims Tuvalu’s head of climate change unit, Pepetua Latasi. PCRAFI was legally established in June this year but had already made two pay-outs between 2013 and 2015 – US$1.3 million to Tonga after Tropical Cyclone Ian and US$1.9 million to Vanuatu after Tropical Cyclone Pam. “It can be argued that PCRAFI is a top down model and does not properly respond to the climate change impact needs of Pacific Island Countries. There are also concerns that premiums are too high and pay-ou too low, said Latasi in her presentation at the PCCR meeting, said Latasi. “The index based risk transfer/insurance scheme is aimed at making an immediate pay-out to countries once a threshold of climate change index has been reached. Latasi said the insurance scheme will not cover the full cost of repair and rehabilitation but provides the country with an immediate injection of funds to cover recovery efforts. The senior Tuvalu climate change adviser said index based risk insurance could offer different indices for different regions of the Pacific. “Some regions close to the equator may not be so prone to cyclones but have more problems with droughts or coral bleaching. Others within the cyclone belt would need to be covered for this threat. The proposed facility will also cover indemnity insurance. “Assessors will decide on the cost of repair relative to the original replacement value of the infrastructure including schools, hospitals, roads, airports, communications, equipment, water supply facilities and other public buildings and infrastructure, said Latasi. She said a more tailored indemnity insurance arrangement could be developed for particular sectors including tourist resorts, shipping, fishing industry and agriculture. “As this is a climate change related facility, it is important to ensure that funding for the facility is derived from outside the region. Vulnerable Pacific countries should not be responsible for funding climate change impacts. The major polluters of the world should be contributing to such an arrangement, said Latasi. Tuvalu’s Prime Minister had submitted the proposed insurance facility to Pacific Leaders at their annual meeting in Samoa last month. Leaders considered the concept and referred it back to the Forum Economic Ministers meeting for more deliberations. Pacific Islands Forum Secretary General, Dame Meg Taylor said a taskforce will be set up to elaborate on Tuvalu’s proposal. “A taskforce to elaborate the concept into a full proposal to be presented to the Forum Economic Ministers Meeting and later to the Pacific Islands Forum Leaders meeting in 2018 is needed. The Forum Secretariat has offered its support to the Office of the Prime Minister of Tuvalu and awaits further guidance before it proceeds with consultations, said Dame Meg in an Op-Ed released today. “Establishing a comprehensive facility to address climate change impacts will significantly reduce the need to seek compensation measures in the longer future. If decisive steps are taken now to assist Pacific Island Countries, the need to seeking compensation will be diminished, said Latasi.